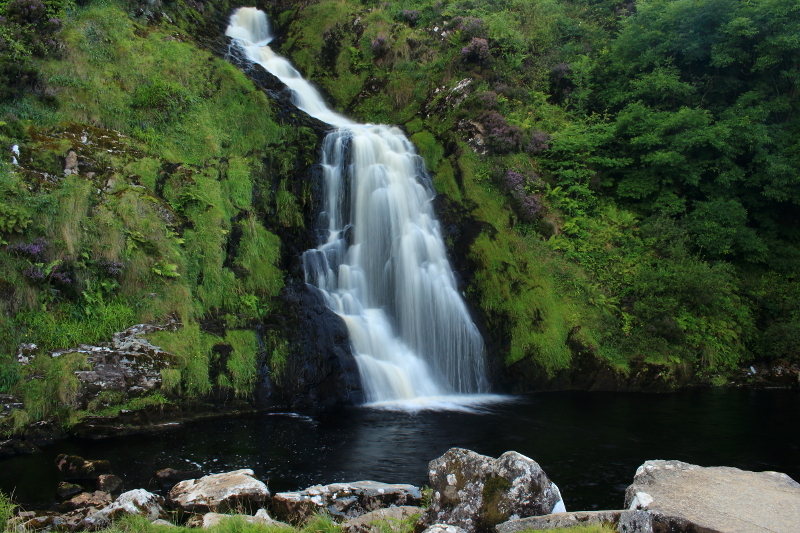 Assaranca waterfall, Maghera, Co. Donegal, Ireland. After having a week in Kerry this summer, we still had another week of leave from work, and decided to spend it on day trips rather than another week away. 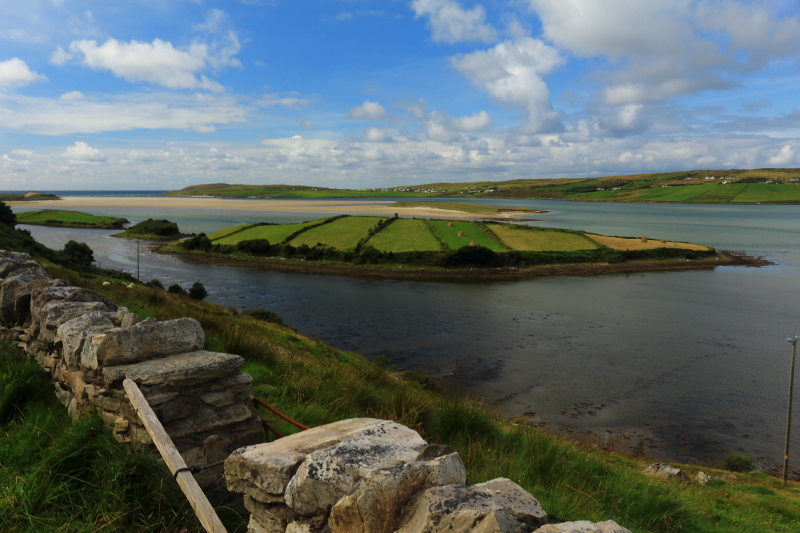 We did however, go for a one overnight stay – a camping trip to Tramore Strand, Rosbeg, Co. Donegal. While there we took the short drive through Ardara, to Maghera which is at the base of the peninsula that includes Slieve League, Slievetooey, KIllybegs and Glencolumcille. 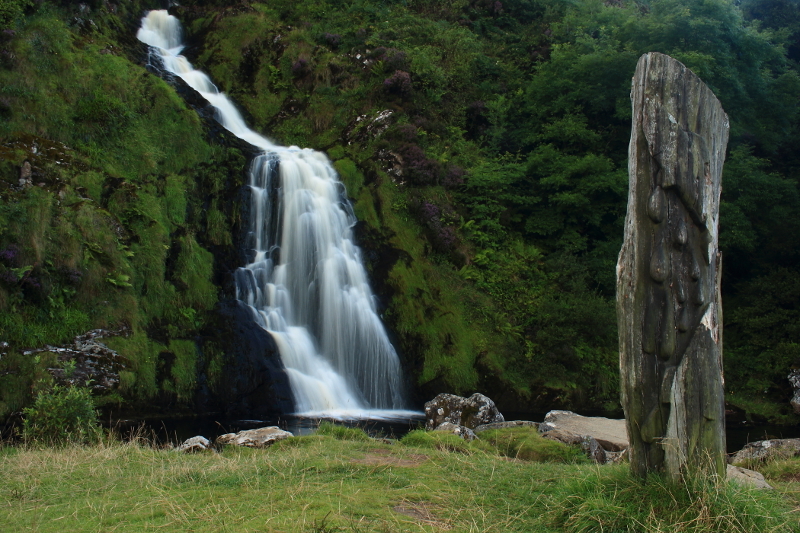 On this visit, there were two places we wanted to see; Maghera beach which I will do a post on, and Assaranca waterfall. 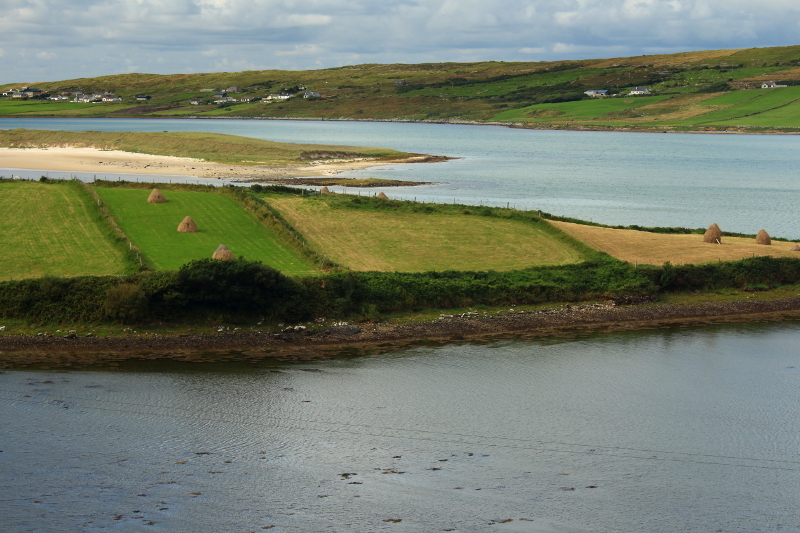 There were plenty to nice views on the way out along the north of peninsula, including a glimpse intto traditional farming methods. On an island we saw haystacks, a rare sight nowdays, and probably due to the difficulty of getting modern machinery out to the little island. The waterfall, with an interesting wooden carving on the banks. Next stop, Maghera beach, a little futher out along the peninsula. Posted in Landscape, Nature, PhotographyTagged Ardara, Assaranca, Assaranca waterfall, Donegal, Ireland, Maghera, waterfallBookmark the permalink. Lovely spot Jessica. The whole coastline is stunning, and my next post contains a few unidentified creatures you might have more knowledge of than me.